Let’s talk about exercise for a second. I know with 100% certainty that cardio kills my anxiety. The endorphins and happy chemicals completely change my day for the better - I’m more present, I’m more joyful, more confident.. so why don’t I do it every day? 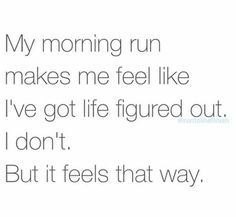 I find myself frustrated with myself on days when I wake up, skip my run, and then later feel off my game or groggy. It’s great when you know a coping skill works, but it’s hard to make it a routine and a priority! Any suggestions? I also want to note, exercising (or even talking about exercise habits) can be a triggering experience for those who have struggled with restricted eating, weight, and/or self love. So be compassionate and thoughtful in how you talk about your workout routine! sprout therapy pdx is accepting new clients!